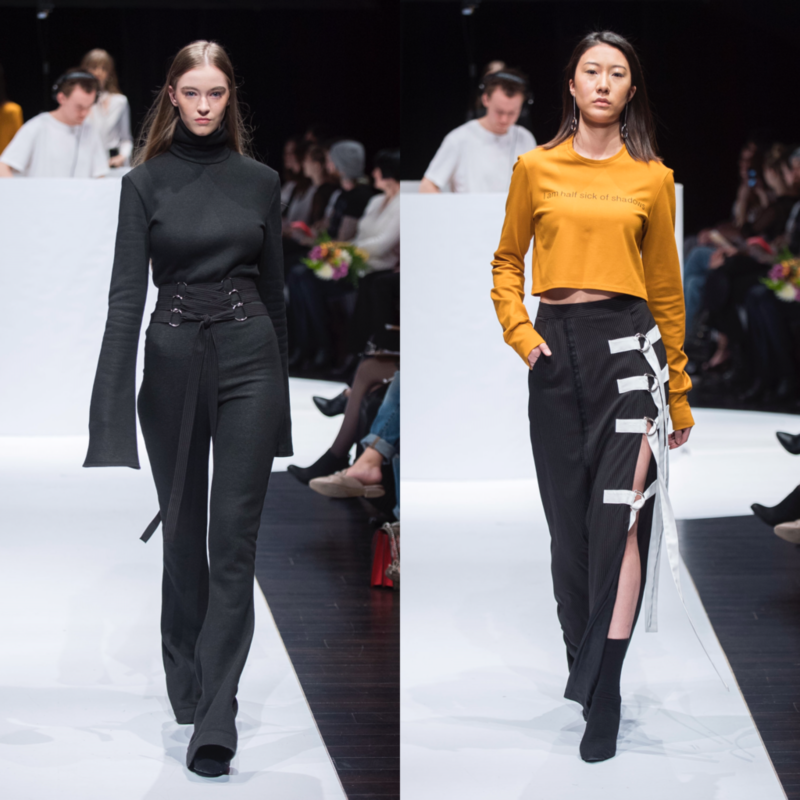 Ryerson University’s School of Fashion held the 29th Mass Exodus fashion show on April 8th, 2017. 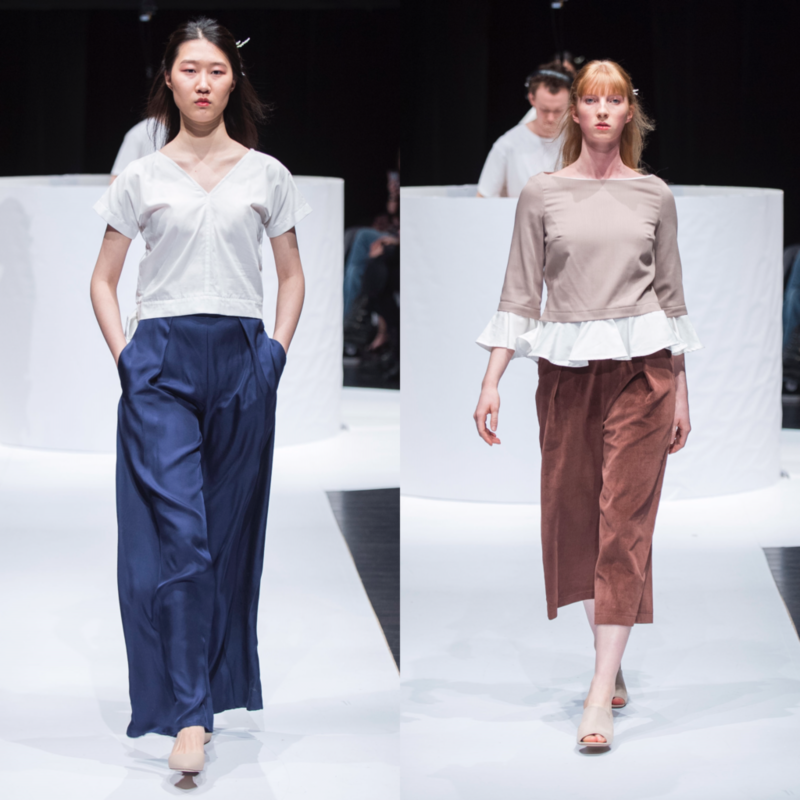 The annual event is well-attended by both industry professionals as well as the public, and shares capstone works by the School of Fashion’s graduating students. 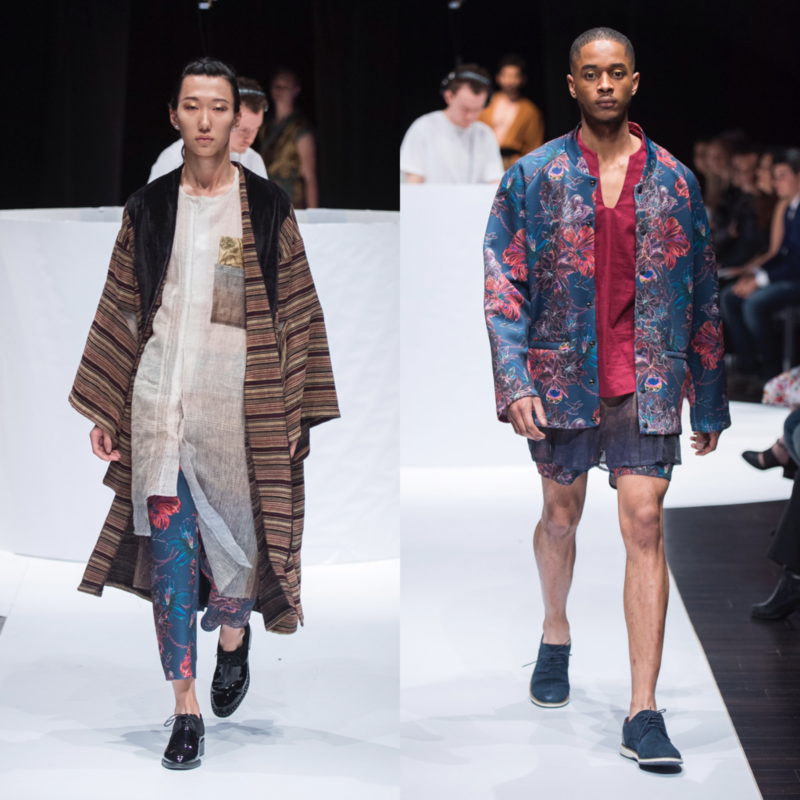 This year, 46 students showcased their collections at Daniels Spectrum in Regent Park. 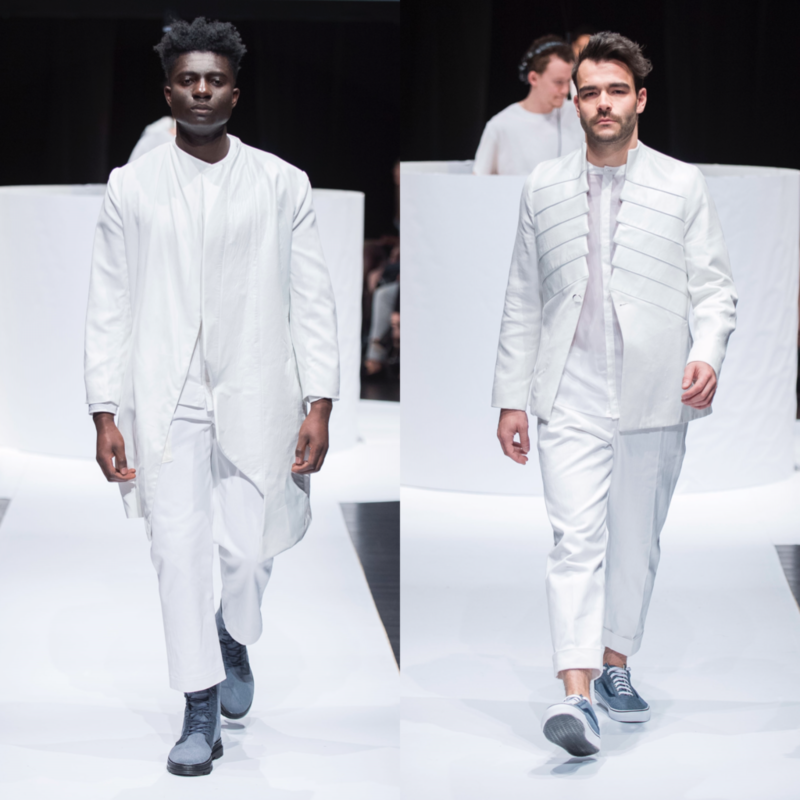 The day consisted of three separate daytime shows, culminating with an invite-only evening show curated by Byron and Dexter Peart, the twin duo behind Montreal-based WANT Les Essentiels. 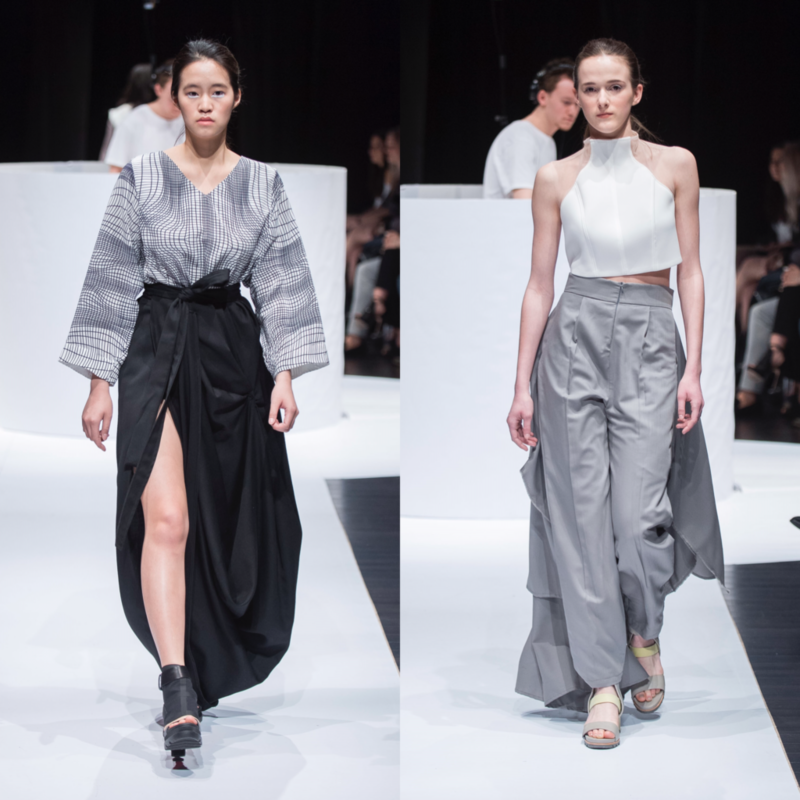 This year’s student designers stayed true to Mass Exodus’ principles of diversity, community, heritage and innovation. The runway was dominated by models of all shapes, sizes and colours, a variety of cuts and fabrics, the use of artisanal techniques, and wearable tech. Mass Exodus is organized by fashion communication and creative industries students currently enrolled in Ryerson’s fashion promotion class. This year, the organizing team successfully pulled off the first-ever Mass Exodus Fashion Week. The week included a display of graduating fashion communication capstone projects at the Mattamy Athletic Centre on Tuesday, April 4th. Following the presentation, a team of three industry jurors selected the top sixteen projects to be displayed at Daniels Spectrum on April 8. 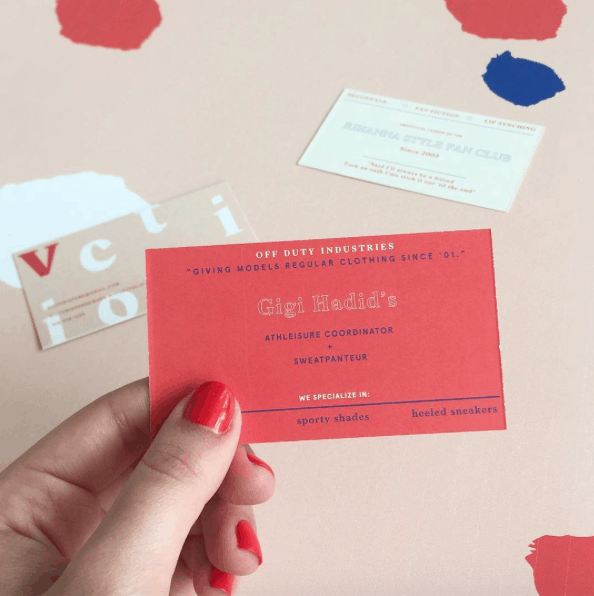 Noteworthy projects selected to be displayed include A/oof a website that celebrates the relationship between fashion and comedy and Antidote, a zine and website containing bite-sized pieces of information explaining current issues in fashion from a feminist perspective. We’ve rounded up some of our favourite looks from Mass Exodus’s 2017 show. See complete collections and backstage images here (but look at ours first). Emerging menswear brand Saint Jac caught our attention with its clean lines and model casting that was just right. Simple, functional, minimal – we can tell that designer @steph_st.jacques appreciates details, and so do we. SAINT JAC BY STEPHANIE ST. JACQUES. Photo credit: Arthur Mola. “FREQUENCIES features graphic designs and prints, with clothing that bridges the gap between the masculine and feminine. Looking to not only capture the beauty of the laws which bind our existence, but also to shed classic gender norms with its gender-non-conforming pieces.” Words are by @era.ra.ra, we dig it. FREQUENCIES BY ESHITA RAVUVARI. Photo credit: Arthur Mola. Designer Shuwen Ju taps into the beauty, texture, and elegance of ancient textiles that were traded along the silk road, and combines them to form perfectly cohesive looks. The name Modern Nomad represents an urban-living attitude of people who live in the city and have a nomadic lifestyle. East meets west, and old meets new in this balanced collection. Thank you @shuwenju. MODERN NOMADS BY SHUWEN JU. Photo credit: Arthur Mola. /01 is inspired by designer Da Thou Chu’s childhood experiences growing up in post-Soviet Russia at the end of the 90s and beginning of the 2000s. This unisex, streetwear-inspired collection features oversized garments and creatively washed and distressed heavy denim pieces. We’re excited to see what’s next from @dtc_studio. 01/ BY DA THOU CHU. Photo credit: Arthur Mola. Fae slows down the fast-fashion cycle, by designing a seasonless collection, meant to be worn anytime, and for many years after purchase. The brand prioritizes a modern yet classic aesthetic, tapping into simple lines, classic silhouettes, and quality fabrics made of natural fibers. Cheers to many wears, many washes, and many years @lochandthistle. FAE BY KATHERINE MCCULLOCH. Photo credit: Arthur Mola. The purpose of Scythe is to serve as a label for women who cannot ordinarily find fashionable pieces that fit them right off of the rack. Designed with tall women in mind, Scythe was inspired by the Lord Alfred Tennyson poem “The Lady of Shalott”. The Victorian poem is hauntingly beautiful in its imagery and language, and designer Milly Yates drew inspiration from its tone for this collection. Long fluid lines, trailing ties and nearly dragging hemlines – we love the rhythm in @milyates work. SCYTHE BY MILLIE YATES. Photo credit: Arthur Mola. This collection caught our attention with its classic tailoring, kinetic appliqué and 3D printed accessories. 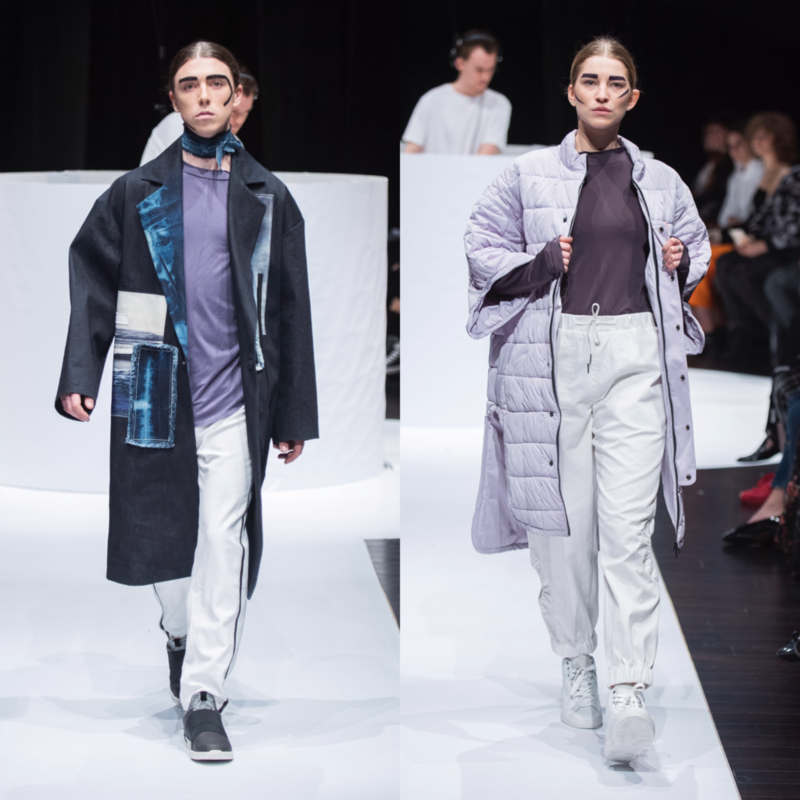 According to designer Ekaterina Kuzheleva, the name of the collection; theme is inspired by “The Internet of Body” and the idea of total connectivity. 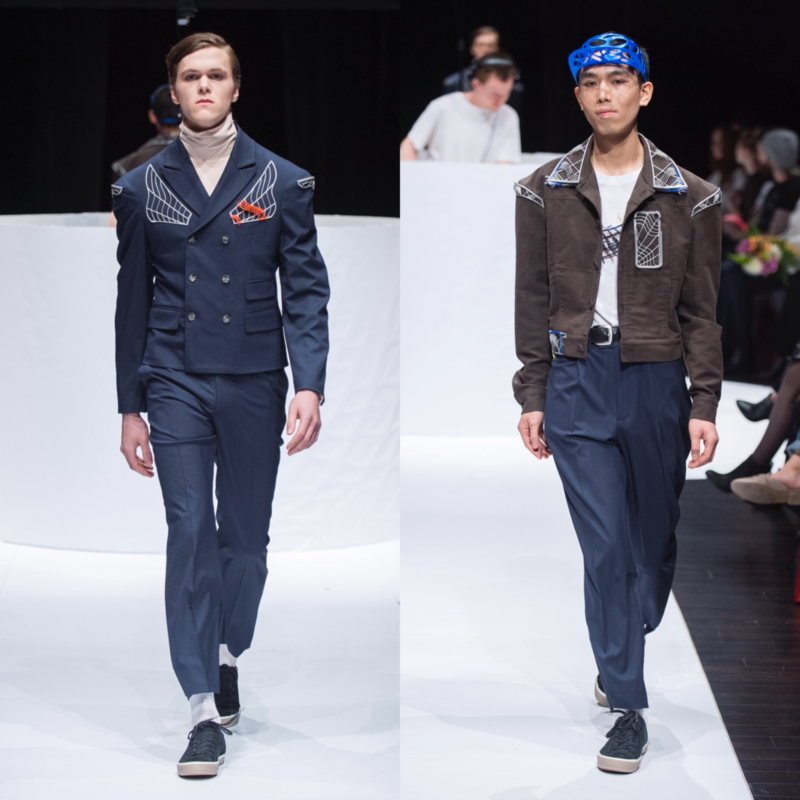 The collection is designed under the brand name CMN GRND (pronounced Common Ground) and falls into the “Art to Wear” (wearable tech) category of menswear. @katvogue. CONNECTIVITY BY EKATERINA KUZHELEVA. Photo credit: Arthur Mola. With show notes from Heidi Ruggier. Keshra is a content creator at Glossi Mag. She loves all things communications, and is likely the only millennial at the table not taking a picture of her food – it just doesn’t go with her Instagram aesthetic.